The Soho full depth radiant inset gas fires is designed for homes with a pre-cast flue, pre-fabricated flue systems (class 1 or class 2 with min. 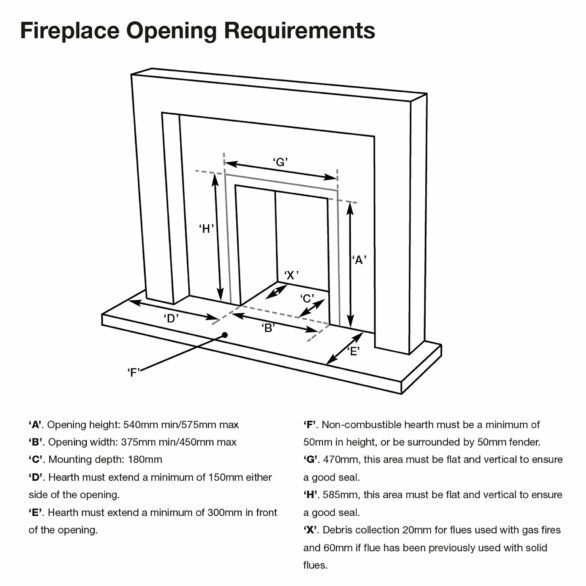 127mm or 5″ diameter) or conventional class 1 brick chimney. 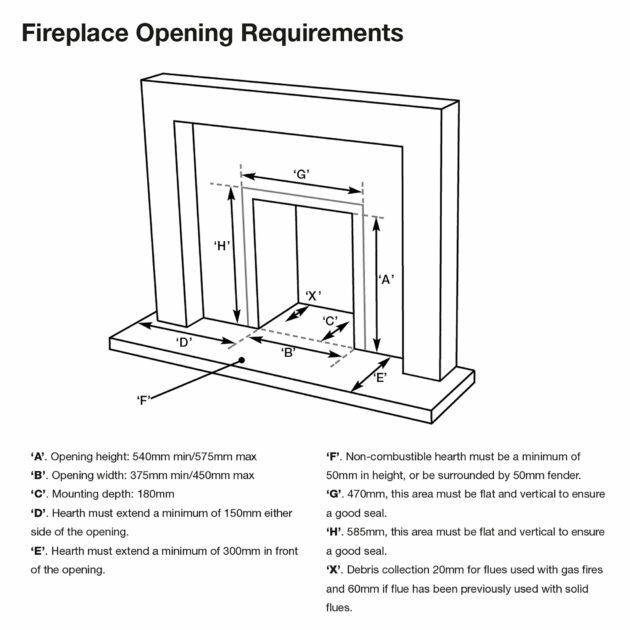 This versatile fire is compatible with a standard 16″ wide x 22″ high fireplace opening (please refer to product specification – excludes low lintels) and requires a minimum depth of 180mm plus 20mm debris collection. 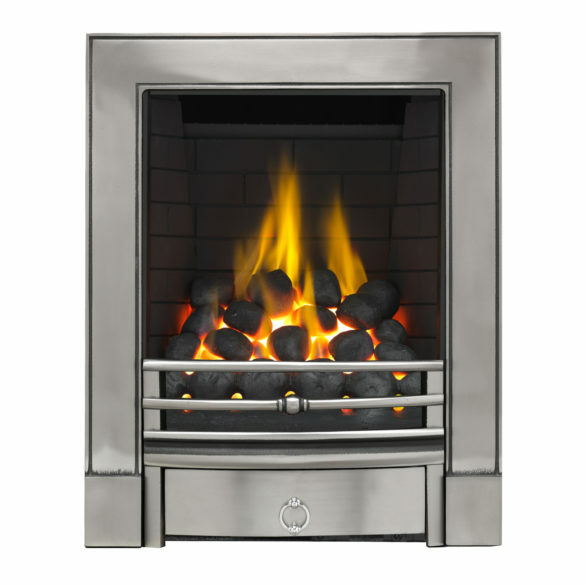 The full depth gas fire is an extremely popular all-rounder thanks to its affordable price, open fronted design and deep fuel bed with authentic flame picture. The Soho full depth is available with coal, pebble or log effect fuel bed. 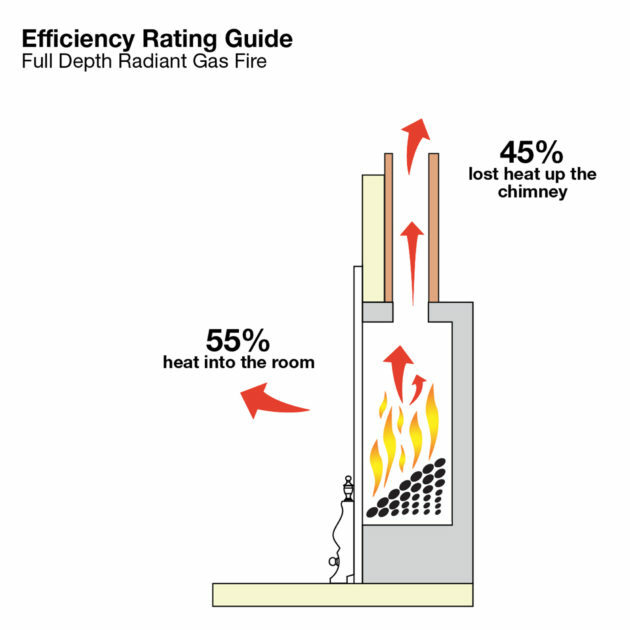 It can be specified in Manual Control (Rotary), Manual (Fingerslide) or Remote Control. 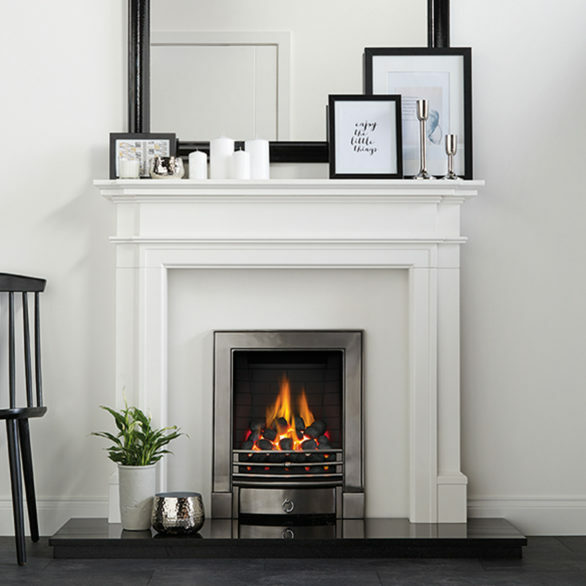 The Soho Timeless is a premium solid cast iron frame with subtle decorative detailing. It is the more minimalist of the Timeless cast frames and therefore would equally suit an interior with modern or traditional feel. It is available in a beautiful hand polished cast iron finish or traditional painted black. 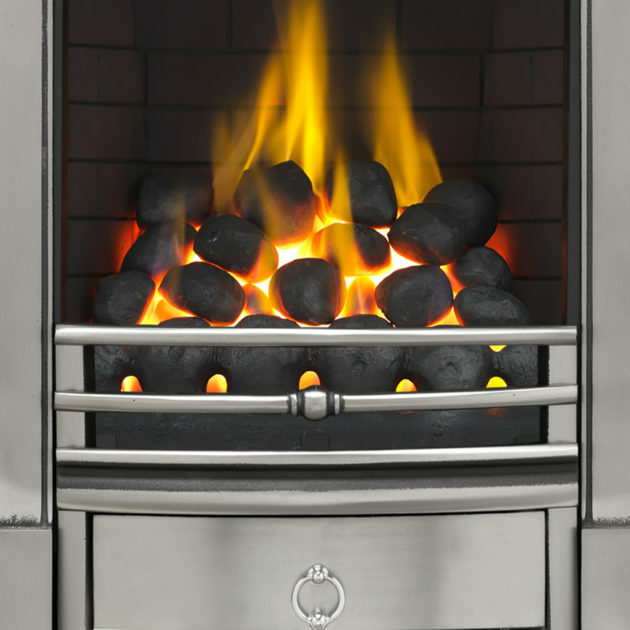 The Soho frame is manufactured by traditional iron foundry techniques and therefore may naturally include some minor imperfections such as pitting and black residual polishing marks. This is a direct result of the production and finishing process and is intentionally employed to achieve the authentic appearance. 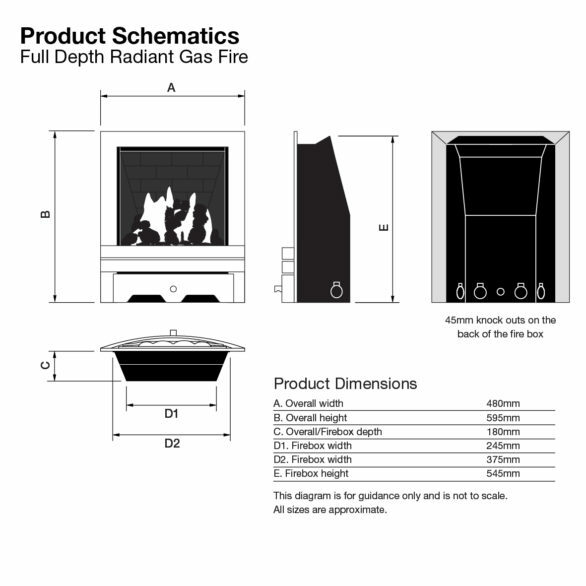 The Soho’s removable ashpan is a separate component that is suspended off the hearth by discrete fixings in the cast frame. The ashpan allows access, if applicable, to the controls (model dependent). Focal Point plc 2016. All Rights Reserved.